Making a wind vane is a fun and simple science activity for kids. With just a few common materials, this wind vane can be ready in half an hour. 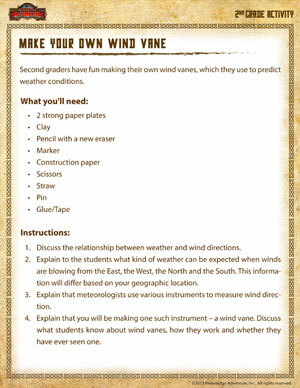 Through this activity, second graders learn how a wind vane works and what it is used for. The class can then monitor their wind vanes to check wind direction and predict weather accordingly.